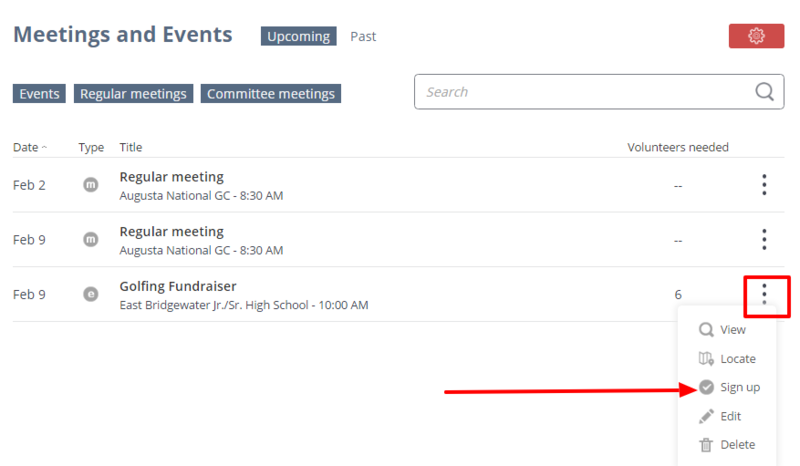 This article will explain how to edit existing volunteer positions for any event. You will be able to edit the date and time of the volunteer position shift, the name of the position and whether or not you would like for the volunteer to be notified by email because information about the volunteer position that they signed up for has changed. 3. Mark the checkbox of any position name that you wish to edit, click the red Administration icon and click the Edit button. 4. 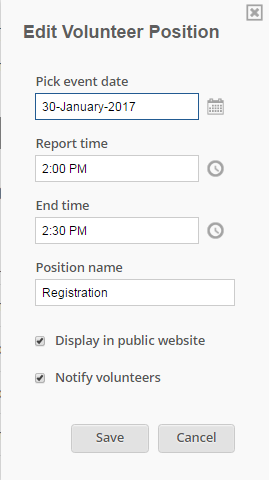 Click the icon to the right of the Pick event date to edit date. 5. Click the clock icon to the right of the Report time to select the time for the volunteer to report for their shift. 6. Click the clock icon to the right of the End time to select the end time for the shift. 7. Change Position Name by typing the name of the volunteer position in the textbox. 8. Mark the Display in public website if you want the volunteer position to be displayed on the public website so members and non-members can signup. 9. Mark the Notify volunteers box if you would like volunteers that have already signed up to receive an email regarding the change to the volunteer position. 10. Click the Save button. The updated position will show in the grid.